Two San Pedro police officers, Norman Coye and Darnell Madrill, walked free from Wounding Charges on Tuesday, January 9th, after appearing at the San Pedro Magistrate Court. The duo had been accused of being involved in a shooting incident at Central Park in April of 2017, allegedly causing injuries to five persons from bullet fragments. Victims are quite disappointed at the outcome of the case, believing that justice did not prevail. One of the victims, Alfredo Cowo, told The San Pedro Sun that it is unfair what happened and that the police officers should have been punished. He shared his frustration over the case’s constant adjournment since May of 2017. The first hearing for 2018 was to happen on Monday, January 8th, however, it was rescheduled for Tuesday, January 9th due to the annual opening of the Supreme Court in Belize City. Early on Tuesday morning, Cowo stated that he was at the San Pedro Magistrate Court ready to continue pushing the case. After a couple hours of delay on the hearing, it was revealed that the prosecutor was not present in the Court. “The Magistrate did not want to continue adjourning the case and thus, it was dismissed,” said Cowo. He believes it is an injustice not only to him, but the other persons that had to go through the painful recovery from their injuries. 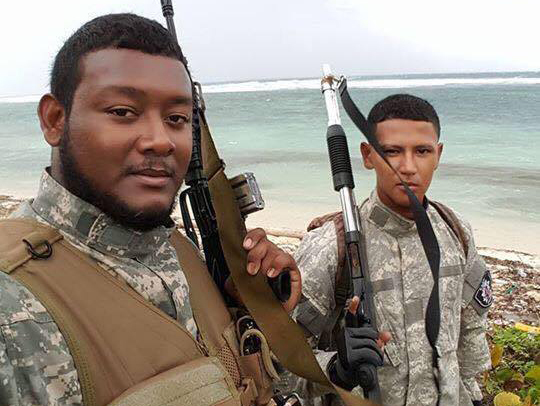 Cowo further fears for his security, as reliable sources have informed him that certain police officers of the San Pedro Formation have made threats against his life. Cowo narrated that back in April of last year, while at the park he saw Coye, Madrill and another officer, dragging two females outside of a nightclub. He adds that he was approached by Madrill when he started recording the incident on his cell phone. Madrill told him to stop videotaping and tried to take away his cell phone. Madrill then reportedly punched Cowo in the nose, causing him to bleed. Cowo further states that during the incident his brothers got involved and were confronted by police, but it was when he approached Madrill that Coye pulled out his licensed 9mm gun and started shooting towards the ground in front of the crowd at Central Park. He then saw his right foot and left toe bleeding from the bullets’ fragments. Cowo was detained and transported to the Dr. Otto Rodriguez San Pedro Polyclinic II. He finished obtaining medical assistance in Belize City. As the case is now dismissed, it is still yet unknown if the police officers will be reincorporated in the police force on the island, or if they will be transferred elsewhere. The San Pedro Police Station did not offer any comments. In the meantime, Cowo is seeking legal advice to try to get some justice.